Fast becoming one of our biggest sellers! 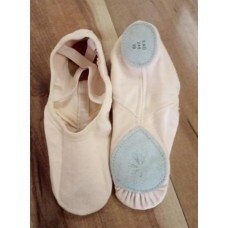 Canvas split-sole ballet shoe. Dusty pink. No elastc ties. Criss cross elastic strap. One width fits all. 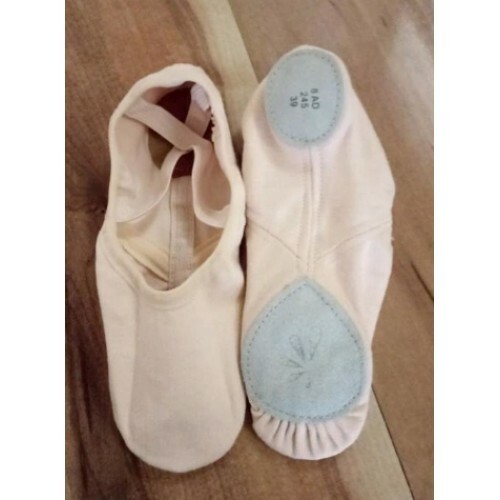 Super comfy...Suitable for class or stage.